Surface Book is an ultimate laptop that introduced by Microsoft back in October 2015. It provides a great performance for those who need it for complex tasks like graphic designing, video editing, and engineering tasks. The two USB 3.0 ports on Surface Book is a fair enough amount of ports for most mobile users. However, for some users, this amount of USB ports is not enough for them. So they may need a portable USB Hub that will give them more connectivity ports while not adding bulk to their case or bag. If you are looking for a perfect USB Hub for your Surface Book than allow Surface Tip to give you a helping hand. Here, we have listed down the best portable Surface Book USB Hub with a variety of unique features that will match your requirements. The first one of our list is a USB 3.0 Hub from MAKETECH. This USB hub features a super slim design with only 0.33-inch depth that almost same as 0.3-inch Surface Book clipboard section. It has 4 USB 3.0 ports that can preserve the full speed of your current USB 3.0 port. 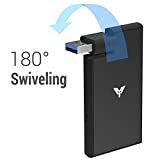 This USB hub also has the swiveling connector that allows you to rotate the USB connector up to 180 degrees. It comes with 18 months TROND warranty and 30 days money back guarantee. If you prefer different design connected with a cable, this ANKER USB Hub is a choice for you. This USB hub will turn one of your Surface Book’s USB ports into four 3.0 USB ports. It’s mean you can connect up to 4 USB devices simultaneously with 5 Gbps high-speed data transfer. 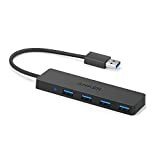 This Anker USB 3.0 hub is available in black color with sturdy exterior and heat-resistant connectors ensure durability. It also features a single blue LED for USB connected indication. 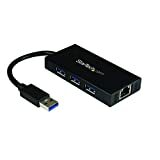 If you want a more reliable performance USB 3.0 Hub we recommend this one from StarTech.com. It offers 3 USB ports with a super speed of 5Gbps for your data transfer. It also has a Gigabit Ethernet port for you to connect your Surface Book to the network when the wireless connection is not available. This USB hub also includes an external power supply, so you can plug devices that need high power like external hard drive, external DVD drive and so on. 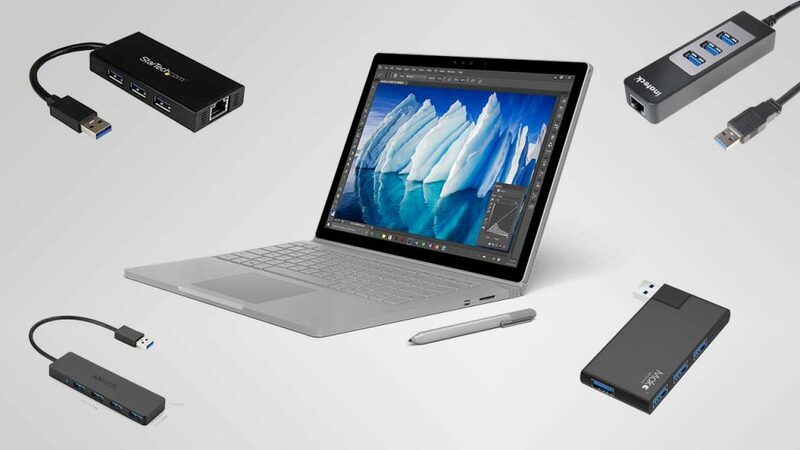 Those are the best portable USB Hubs that we think you will love to have one for adding more USB connectivity to your Surface Book. 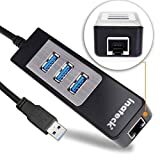 All of them are all working with USB 3.0 that can maintain the highest speed available for data transferring between any devices you connected through them. We appreciate hearing your thoughts, questions, and ideas about “Best Portable USB Hubs for Surface Book in 2019”. Please post respectful comments and on topic. We will be replying back to you as soon as possible. 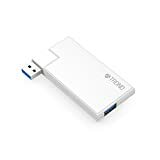 Share your idea about "Best Portable USB Hubs for Surface Book in 2019".